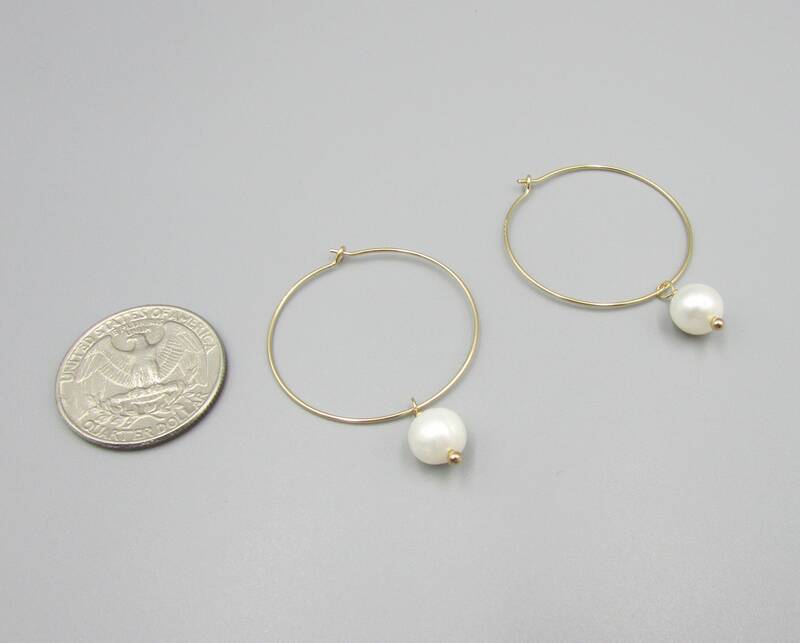 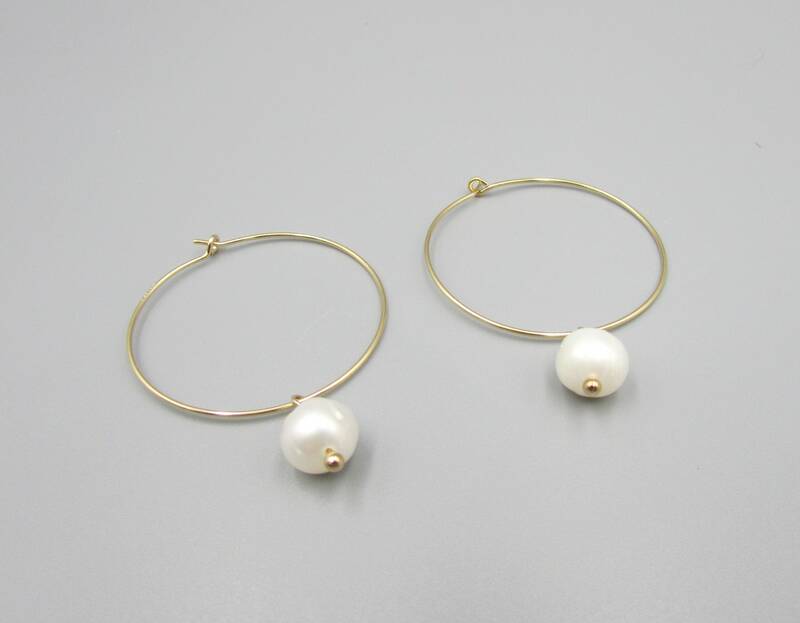 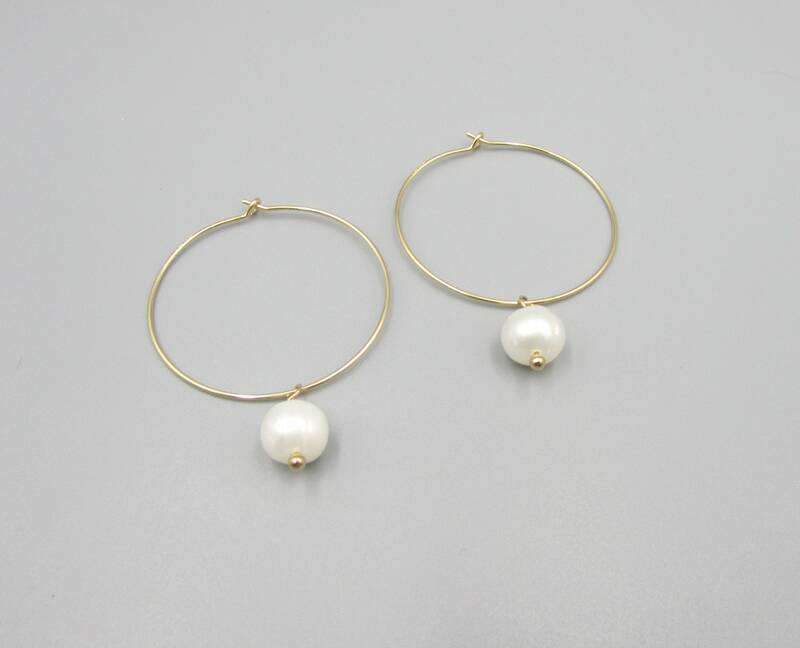 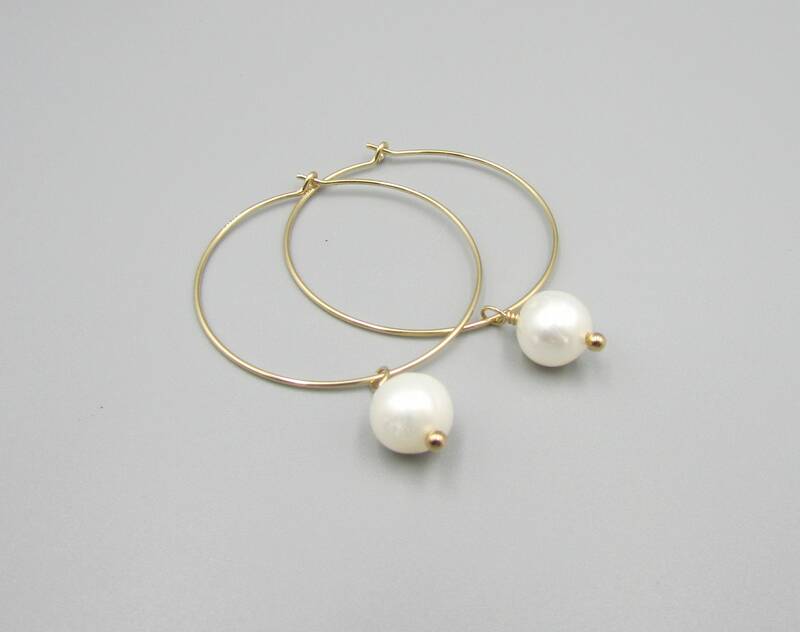 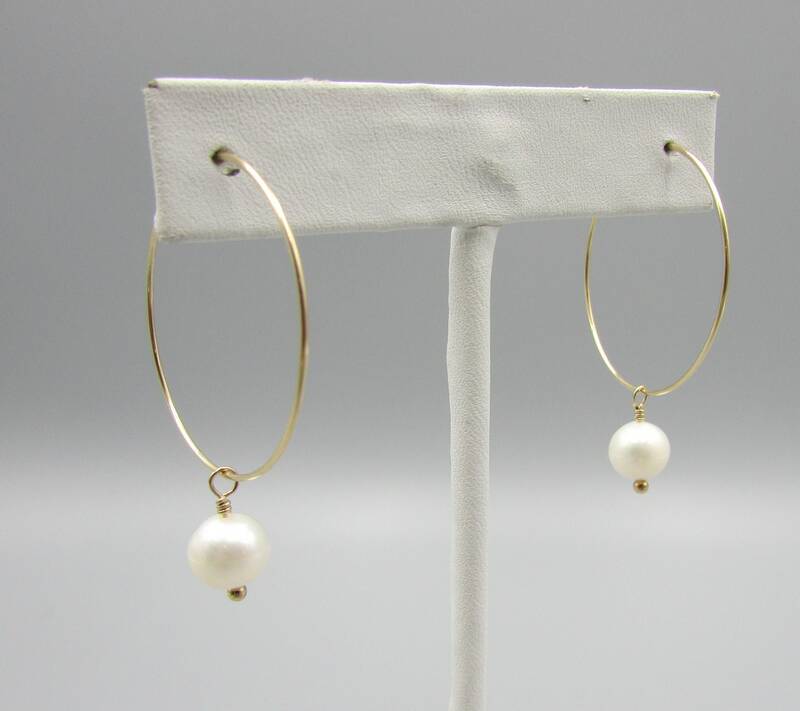 These simple gold filled hoop earrings have a 8mm potato freshwater pearl dangle. 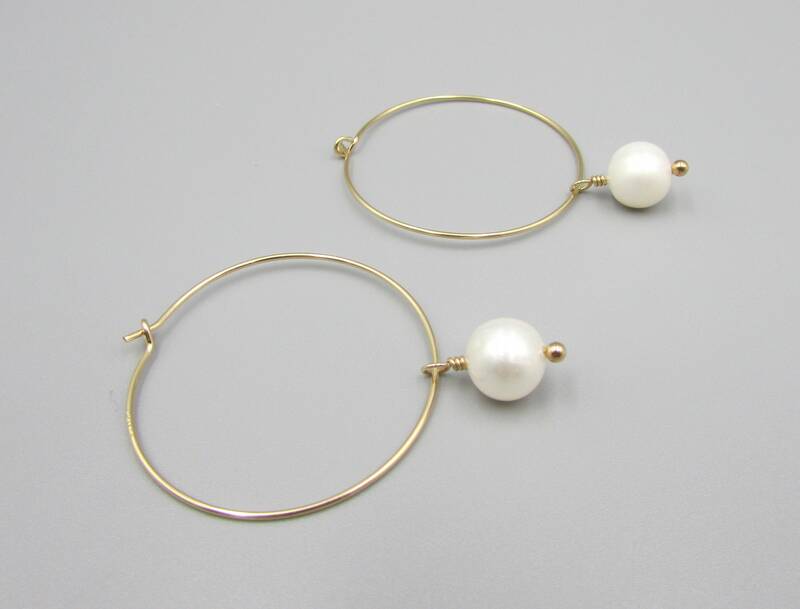 The gold hoops are 1 2/4 inches or 30mm in size and have a simple loop and hook closure. 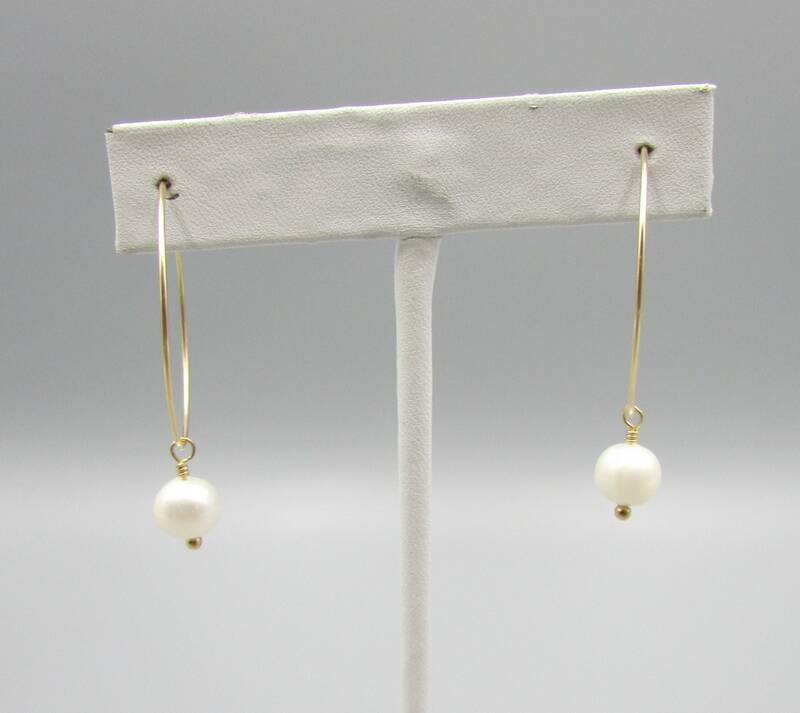 I've added a white freshwater pearl with gold filled head pin. 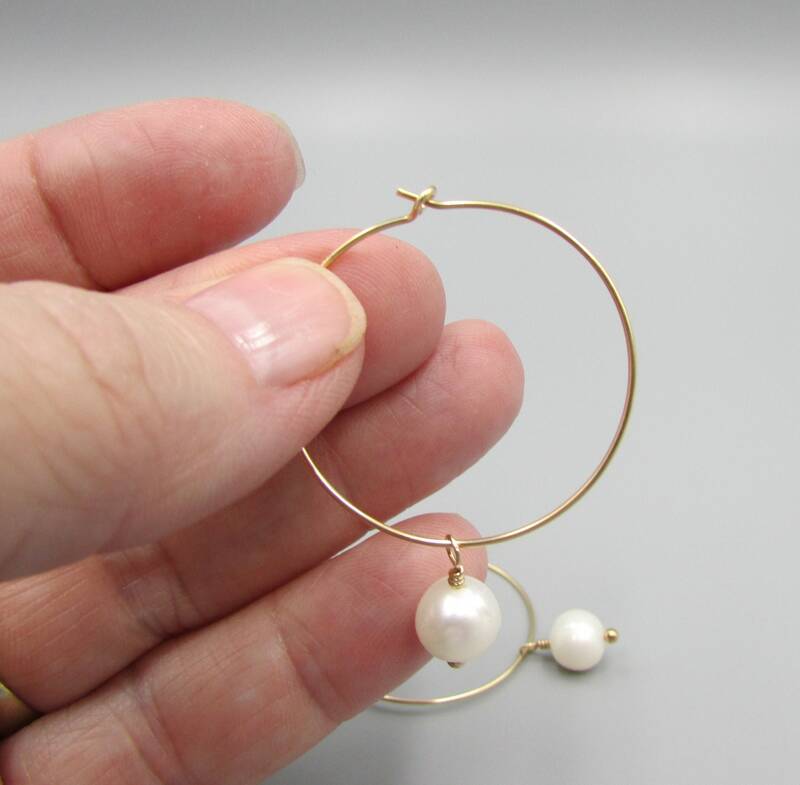 The length with pearl is 1-1/2 inches. 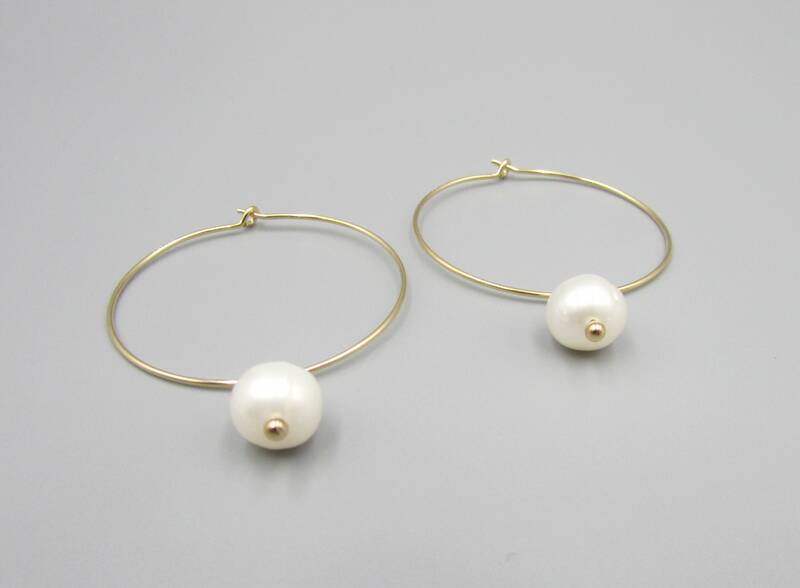 The perfect gift for nearly any occasion.